What an awesome September. Virtually the entire month was nice. A bit chilly in the evening the last few days but sunny all day. We seemed to have a few more guests than normal this past month. Nice forecasts will do that. The first annual Ely Marathon held on the 25th and 26th did draw a large number of participants. A few stayed with us at the resort. Of course the Harvest Moon Fest on September 11th – 13 was a big success again. If any of you are avid webcam watchers you may have noticed it being down. This is a temporary situation and are just waiting for our guy to come out and see what’s wrong. I hate to see you miss the Fall colors, they are really just getting started. The White Iron fishing has improved recently. 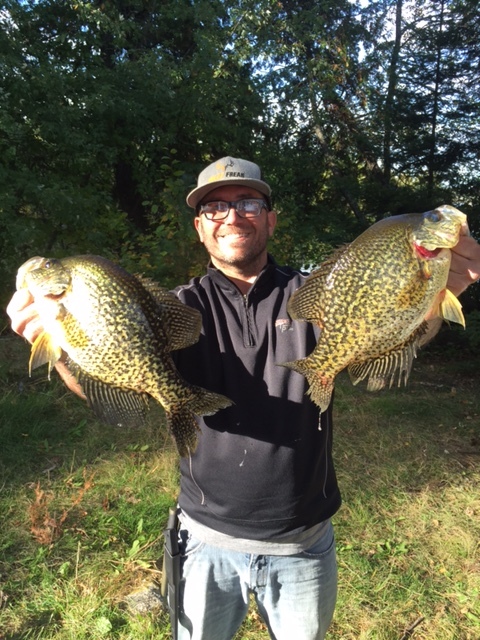 The cooler water temps have helped. We missed out on the September rain, down by 2″ from average) so the water flow at the river has been sluggish. That can still happen and really turn the big ones one. 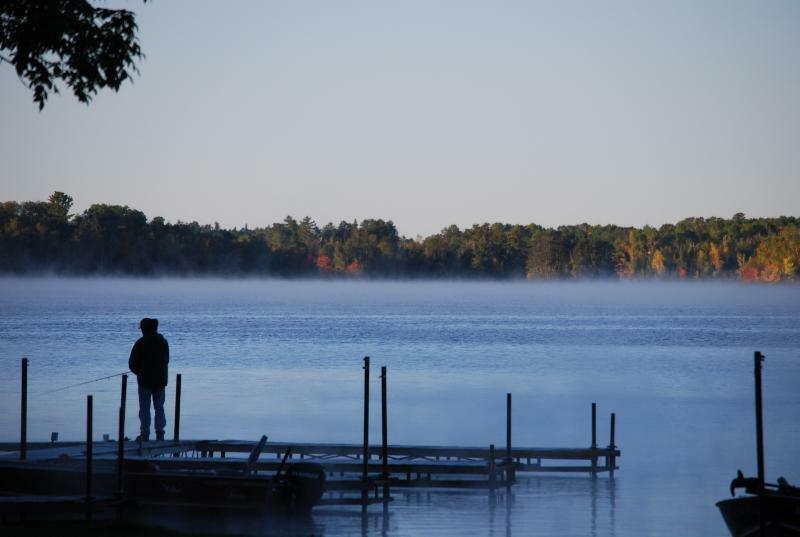 Our annual Fall overnight fishing trip was a week or so ago. 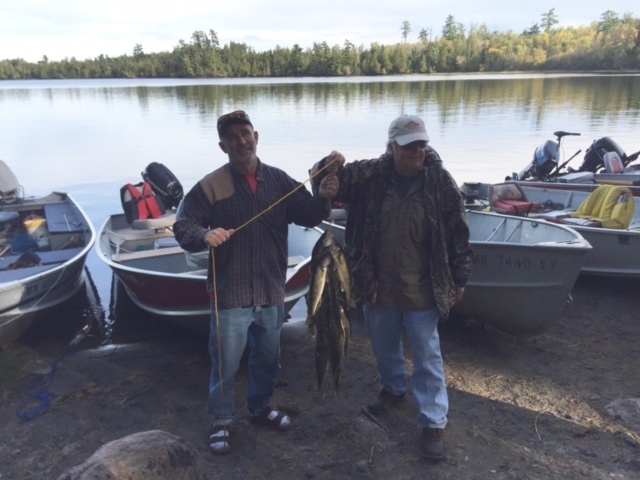 For days we were hearing how the fishing was slow, slow and more slow up on Basswood. Even as we crossed the portage Mindy reminded us to not expect much as some pretty experienced fishermen had been skunked. As they say, blessed are those who expect nothing for they shall never be disappointed. So needless to say our expectations were very low. 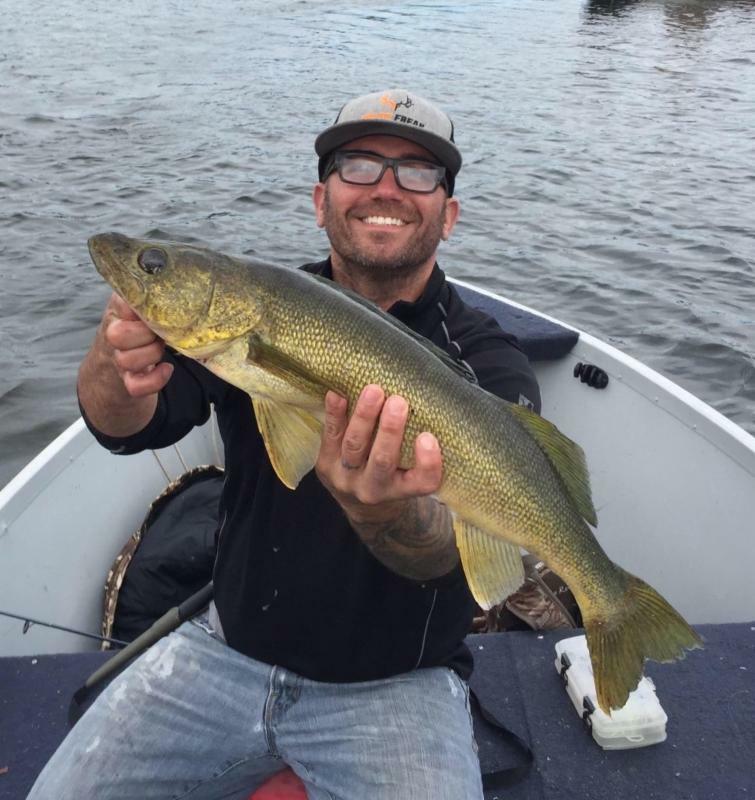 Well, I’m not sure if the fish had been on a low leech and minnow diet for a few weeks but the fishing could not have been any different than reported and expected. 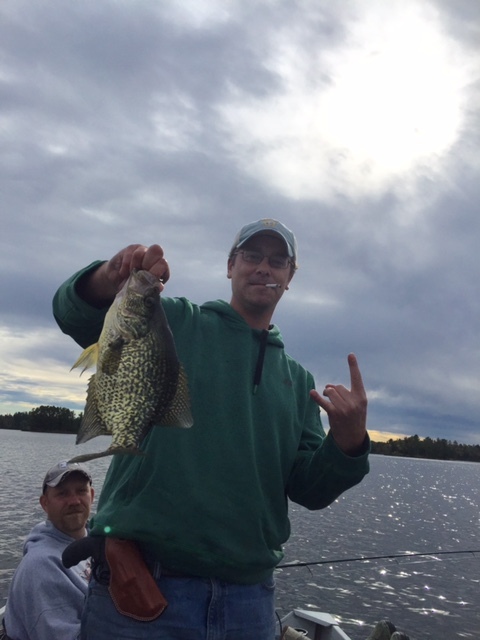 The very first day several of us limited out on walleye and another group caught a limit of really nice crappies. At first we though this was a one afternoon anomaly, expecting it to slow dramatically. Not the case. We followed up that first afternoon with 3 more days of great fishing with the last day all catch and release as we were only a handful of fish off our limits. Unbelievable but true. That trip was probably a once in a life time event but the idea of a possible rerun will keep us going back for years to come. By the way, the weather was awesome too, like it would have mattered with that kind of fishing. Check out some pictures from the trip.